In Mexico, 69% of the population does not have access to computers and/or the Internet, severely limiting opportunities in education. 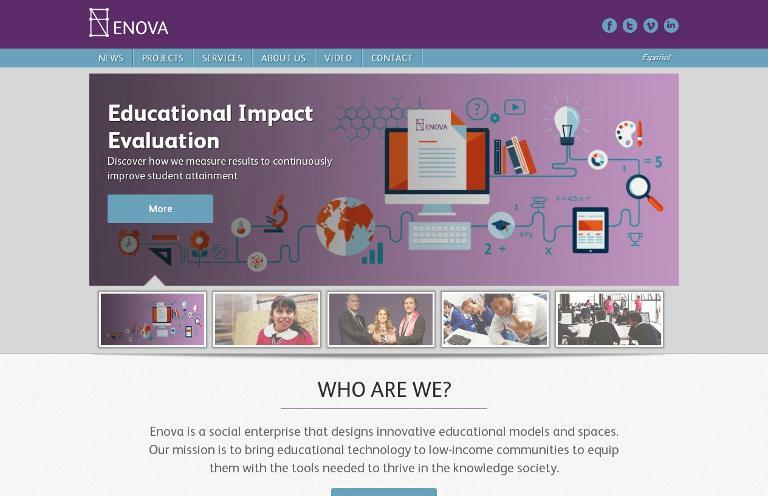 Enova’s solution to this challenge is the Red de Innovación y Aprendizaje (RIA), or the Learning and Innovation Network. RIA represents a chain of 70 educational centers and 25 Digital Libraries that provide underserved Mexican communities with quality educational opportunities. RIA has served more than 450,000 people in low-income communities since 2007, with 3000 new members signing up weekly. The founders point out a simple reality: 70% of the global population lack access to knowledge and the opportunities that come with it. More than five billion people are not connected to the Internet. They remain less informed, consequently making less money. Enova promises simple solutions that work: interesting and entertaining courses, quality infrastructure and highly trained facilitators to support learning.